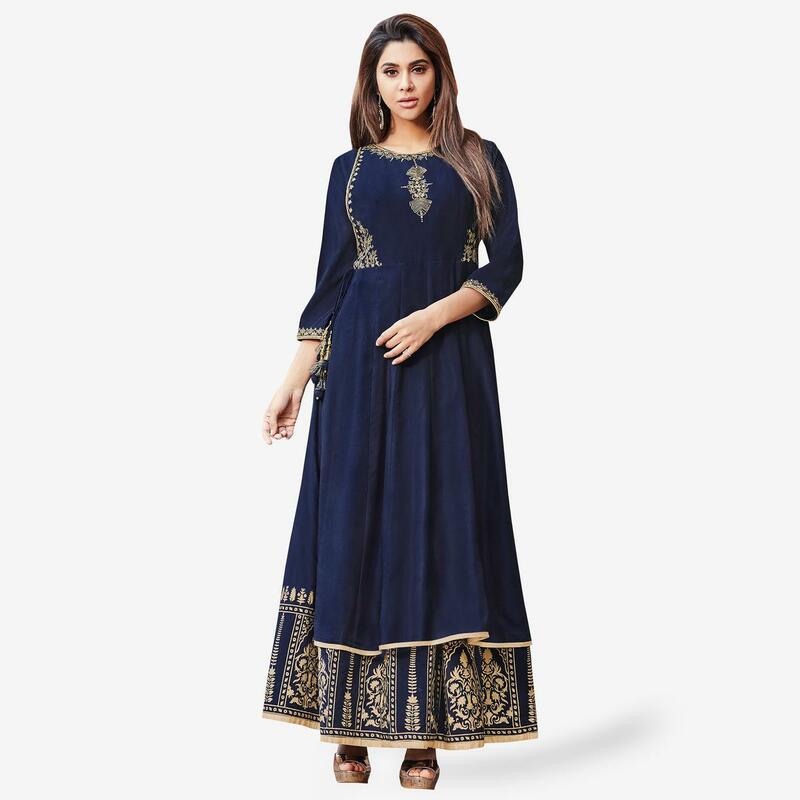 Create your own style let it be unique for yourself and identifiable for others by wearing this sensational navy blue colored gown. 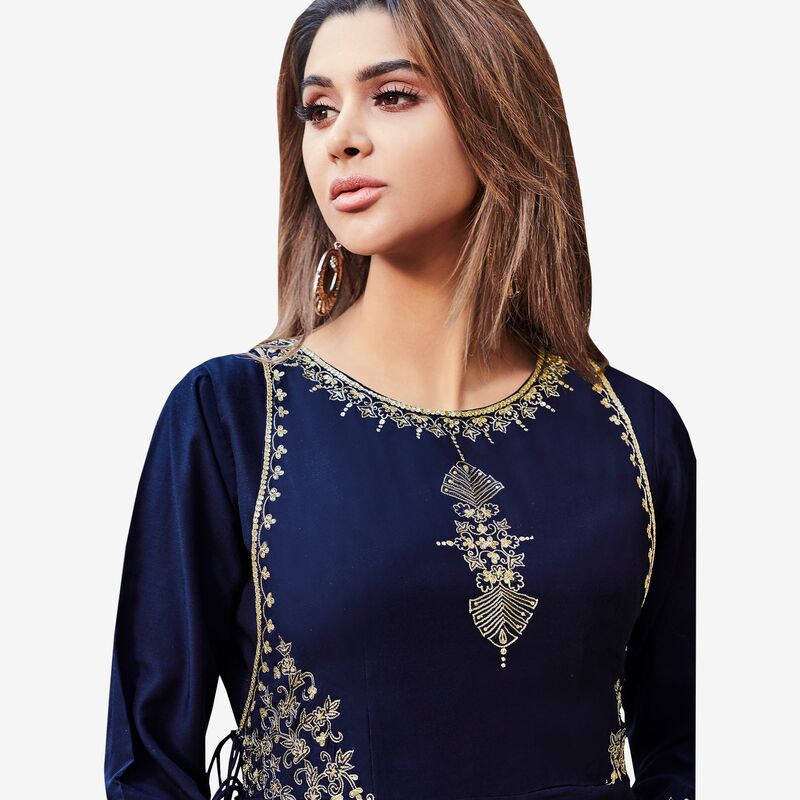 This ganga silk fabric gown and koti is prettified with beautiful embroidered and foil work which makes it appear classy. 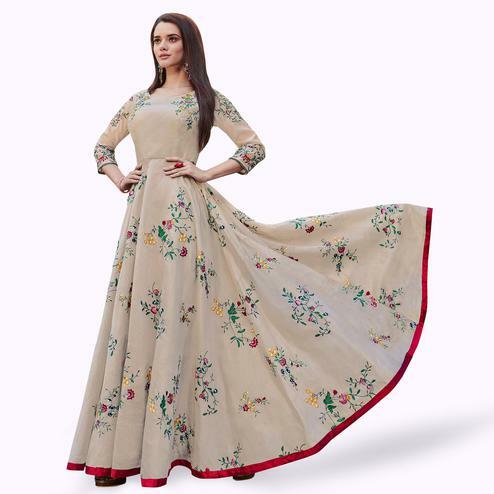 Comes along with malai silk lining. 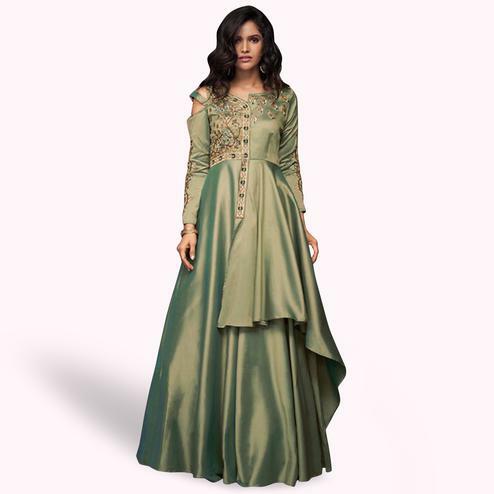 Women can buy this gown to wear for their upcoming functions, receptions, weddings, engagements, parties and occasions. Team it with ethnic accessories to make your looks more beautiful. 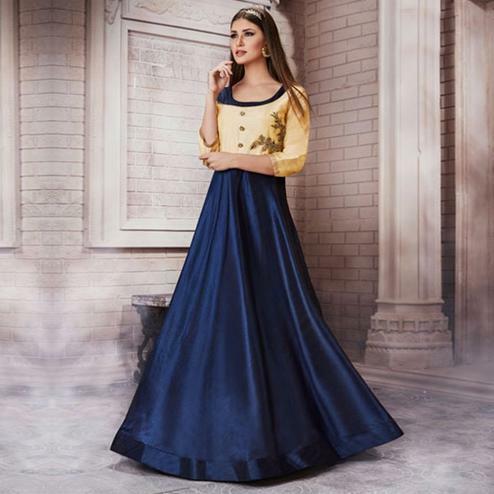 This attractive gown would surely attract you showers of compliments when you wear it. Grab this dress before someone else gets it and wear it. Note:- The actual product may differ slightly in color and design from the one illustrated in the images.